With the search for missing Malaysia Airlines Flight MH370 entering a new, much longer phase, the countries involved must decide how much they are prepared to spend on the operation and what they stand to lose if they hold back. But despite US President Barack Obama publicly promising to commit more assets, the United States appears keen to begin passing on the costs of providing sophisticated sonar equipment that will form the backbone of the expanded hunt. That means Australia, China and Malaysia – the countries most closely involved in the operation – look set to bear the financial and logistical burden of a potentially lengthy and expensive search. “We’re not going to pay to perpetually use the equipment on an indefinite basis. Basically from here on out – starting next week or so – they need to pick up the contract,” he said. At least $47.4 million was spent on the deployment of military ships and aircraft in the Indian Ocean and South China Sea in the first month of the search, about the same as was spent on the whole underwater search for Air France’s Flight AF447, which crashed into the Mid-Atlantic in 2009. The Malaysian jetliner carrying 239 people disappeared en route from Kuala Lumpur to Beijing more than seven weeks ago, and huge surface and underwater searches have failed to solve the mystery of what happened. That mystery has major implications for airline manufacturers such as Boeing, which builds the 777 model that crashed and is awaiting a verdict as to what went wrong. Malaysia is leading an investigation into the crash, but Australia has a key role in coordinating the hunt since the plane is believed to have crashed in its search and rescue zone. 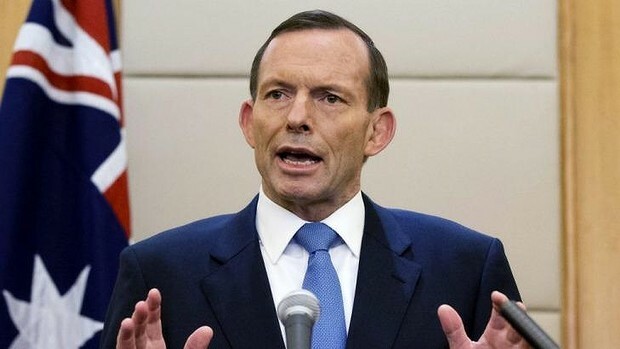 Abbott said finding any wreckage on the ocean surface was now highly unlikely and Australia would forge ahead with the upcoming phase of the search despite it likely costing $60 million. Malaysia has repeatedly said cost is not an issue, but with searchers once again facing a potentially vast stretch of ocean, it acknowledged on Wednesday that money was up for discussion. “I will be going to Australia to discuss the next phase. As we go into deep sea search it’s important that cost is discussed and we’ll discuss with all stakeholders,” Defence Minister and Acting Transport Minister Hishammuddin Hussein told reporters. Some safety experts fear the financial wrangling could take longer than expected and frustrate the next phase of operations. “This risks delaying the next phase of the search. They need a new plan and they basically have to start from scratch,” an international search veteran said, asking not to be named. The two-year search for Air France 447 was only completed after bitter rows over a cash crisis that saw searchers trade down to a cheaper ship, while accepting indirect contributions from planemaker Airbus and the airline. The unprecedented donations of 8 million euros ($11.94 million) each had to be handled via specially created funds to avoid seeming to tarnish the probe’s independence, and experts say the delicacy of dividing up funding for the MH370 probe may be even greater. 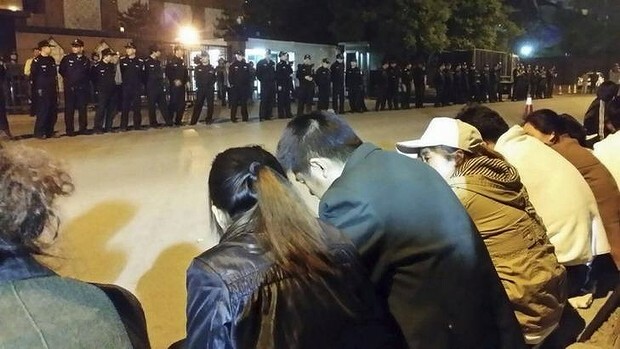 At least 153 of the flight’s passengers were Chinese citizens, putting pressure on authorities there to keep up the search as distraught family members demand answers. China has not addressed what portion of the funding it is prepared to take on as the search moves into the new phase. “On the specific questions you just asked (about money), we will maintain communication and coordination with the Australian and Malaysian sides,” said Foreign Ministry spokesman Qin Gang. A Western diplomat based in Beijing who has closely followed the case said that there was huge domestic pressure to find the aircraft, and for China to be the country which does so. Some of that pressure is being shifted onto Malaysia, which is desperate to limit the damage the missing flight has done to its international profile as a modern, successful Asian state. 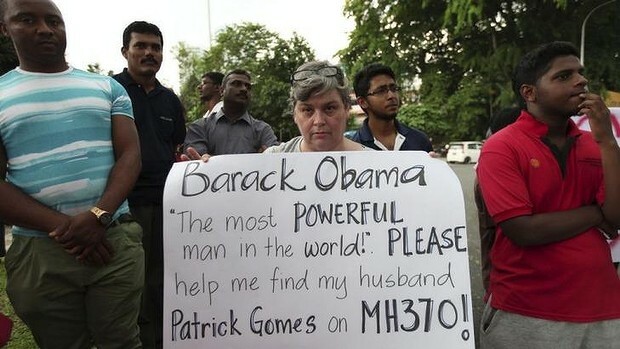 “The Malaysian government will find the money for this search. The country’s reputation is at stake and you don’t want to risk that,” a source there involved in the search said. Australia has a strong diplomatic incentive to provide funding, a former government official with foreign policy experience said, as the relationship with Malaysia is more valuable than the costs it is likely to incur. Regardless of whether the plane is found, the official said, the kind of personal relationships that are forged during a crisis of this kind are seen as diplomatically advantageous. Down the road, it could try to cash in on goodwill on issues including Malaysia’s role as a transit country for asylum seekers coming to Australia by boat or getting better treatment for Australian tourists detained on drug charges in Malaysia. This entry was tagged #prayfor mh370, 1Malaysia, 8 million euros ($11.94 million) each, australia, cost, ecofren, ecofrenklcc, klcc, malaysia, Malaysia Airlines Flight MH370, mh370, missing mh370, money, perth, ustralian Prime Minister Tony Abbott. Bookmark the permalink.